Designed to look great and help to make you look great, this stainless steel all in one with Lithium on technology won't disappoint. 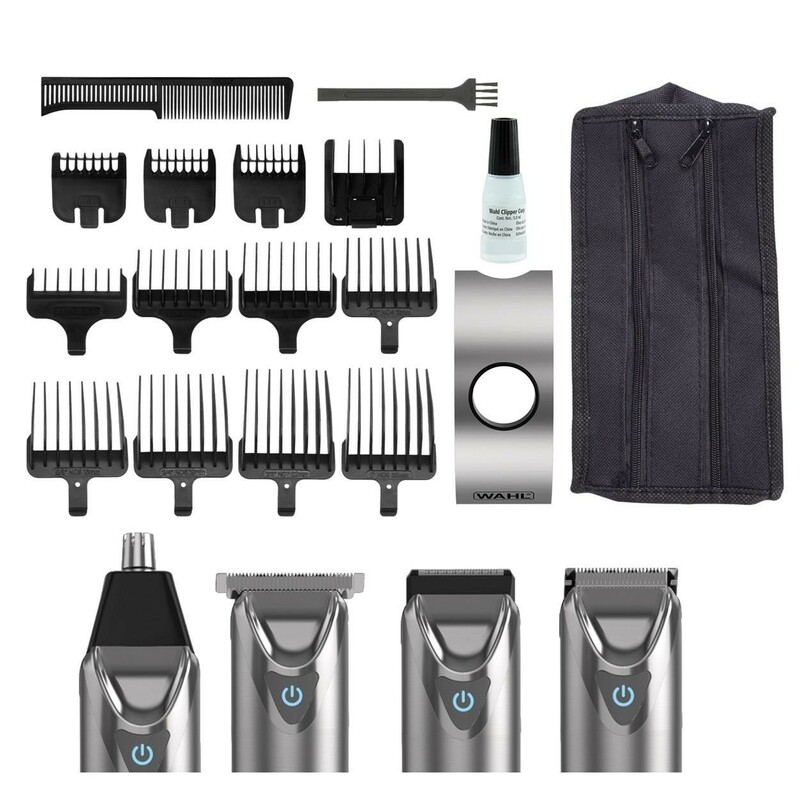 With four interchangeable cutting heads this product offers a total grooming solution. Use the standard trimmer blade for stubble, beards, hairlines and other body grooming. 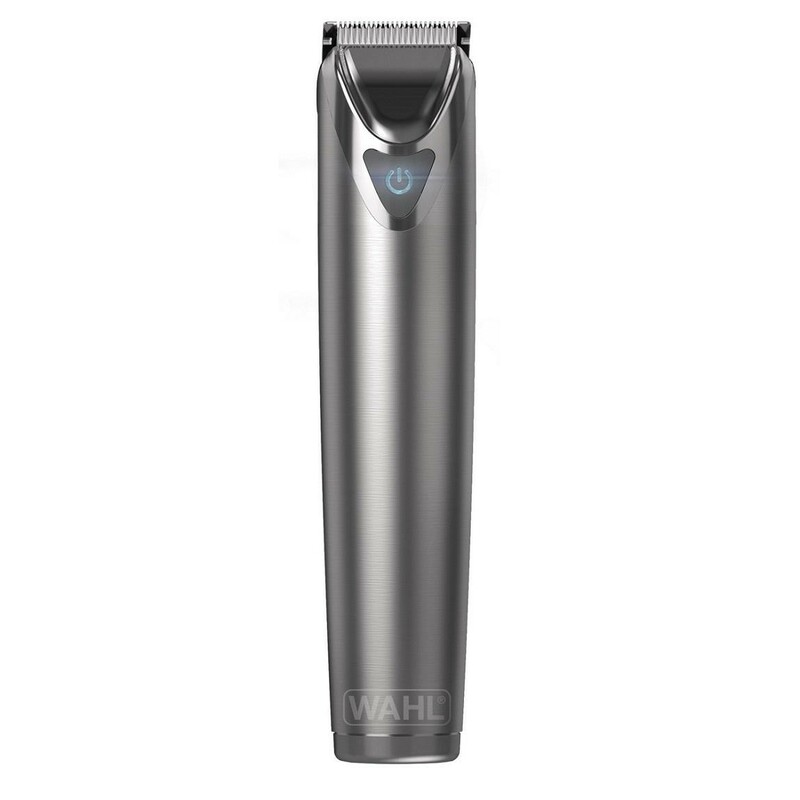 The wide T Blade can be used for full hair cuts and trimming larger areas. The detail shaver is ideal for a smooth, close shave finish and the rotary head is designed to reach ear and nose hair without the risk of nicking or pulling. Included in this kit are a total of 17 different cutting lengths achievable from 0.5mm to 25mm.